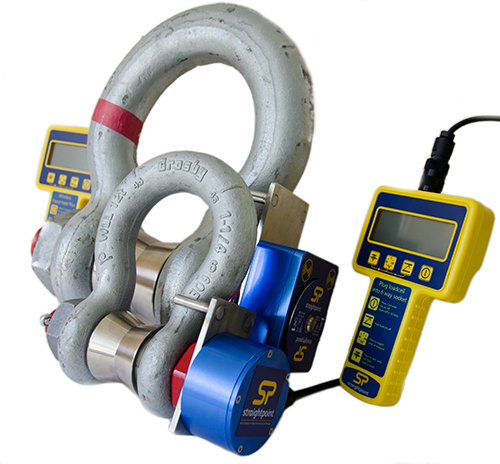 Loadshackles are a robust and effective means of measuring tensile loads in a variety of applications. Built to withstand the demands of challenging environments, SP loadshackles are ideal for compact and reliable lifting and weighing operations across all industry sectors including oil & gas, marine, subsea, construction and military. They are available as wireless/telemetric or cabled, the latter option usually preferred when the shackle is to be fitted subsea to a mooring or tie-down. Manufactured from premium brand and globally recognised shackle manufacturers Crosby. 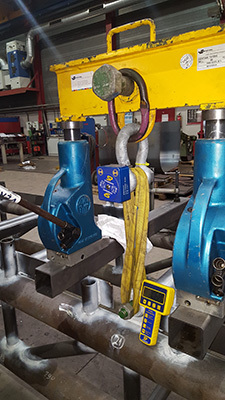 SP loadshackles are rated at 5:1 and supplied in a carry case or shipping crate with a certificate of proof test and calibration with a two-year warranty. Every product is shipped with a custom machined rotating load bobbin that acts to centralise and evenly distribute the load across the shackle pin. Photo left: SP wireless loadshackle used here in a proof test. 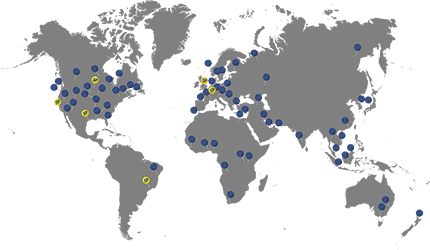 Straightpoint is an international company that distributes high quality, advanced technology Loadshackle sensors, transducers and systems to many countries across the world – and is a specialist supplier to the lifting and rigging industries.